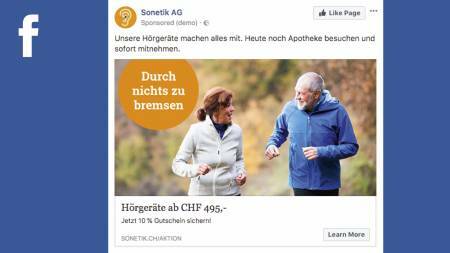 eobiont - Social media advertising for senior citizens. 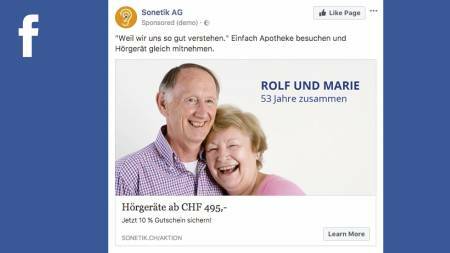 Social media advertising for senior citizens. 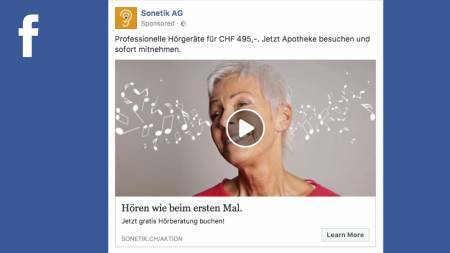 Can social media advertising be used successfully for a product meant for the 70+ crowd? 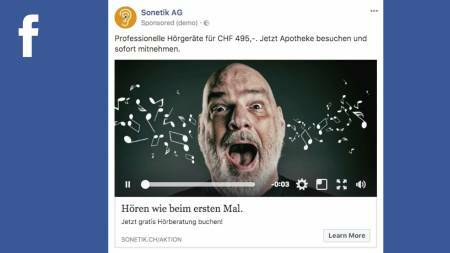 We took on the challenge with a Facebook advertising campaign for hearing aids. 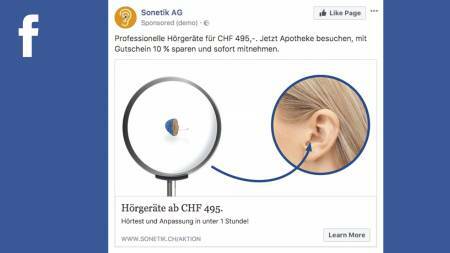 Sonetik is a startup with a low-cost hearing aid solution specifically designed for age-related hearing loss. 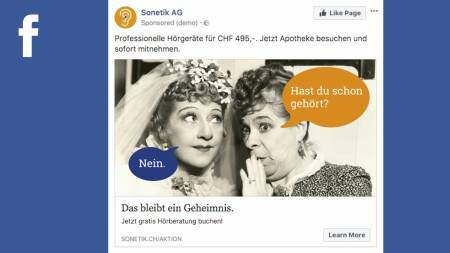 They asked us if we could develop a Facebook advertising campaign for them in German-speaking Switzerland. 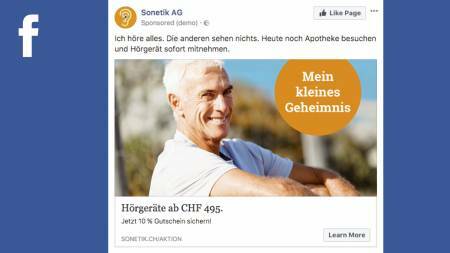 The challenge was obvious: could social media advertising be effective for a 70+ demographic? Our past experience with similar campaigns provided needed insight. With products like hearing aids for senior citizens, their children are the catalyst for awakening need. 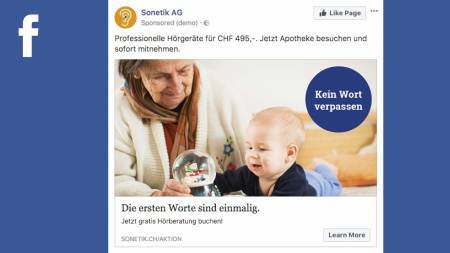 This meant that our campaign could be directed at a target market of 40-55 year olds who were concerned about their parents. 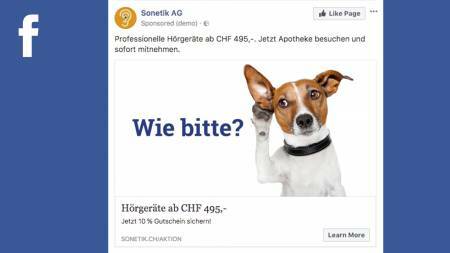 Our ad creatives took many approaches – serious, heartwarming, funny – so that we would have a pool of options to test with. Though the campaign was short-lived, the results were surprisingly positive.